When Gemma was just shy of her 10 month birthday, she did what any baby that age would do. She started parroting us. If any of our family did something, said something, ate something, she wanted to do the same. That also meant drinking smoothies every morning. In just a few days she started pushing her face into mine to grab at my glass straw while I gulped my smoothie. It was the cutest thing I had ever seen. 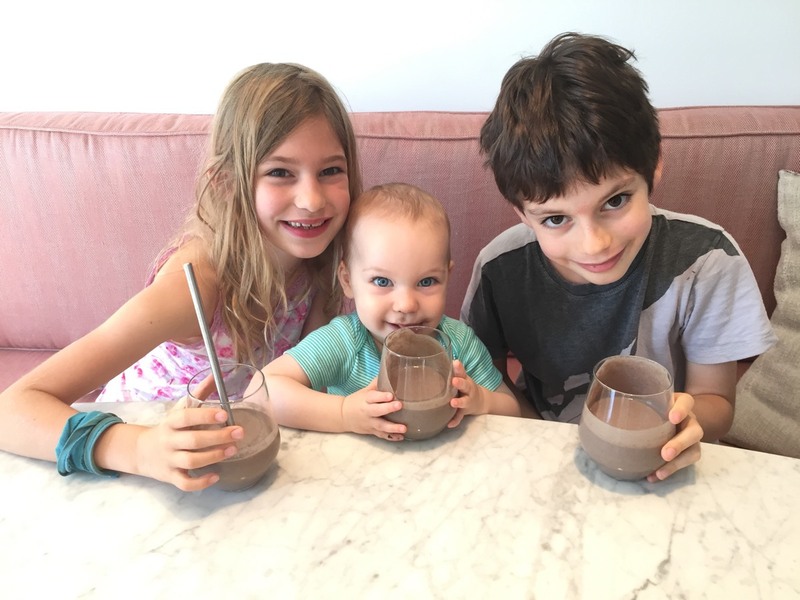 Eight months later Gemma is still gulping down smoothies every morning for breakfast along with Kenya and Chloe by her side. One of the biggest questions I get is "where do you buy those cool straws"? I have to say from the first time we bought our first set we were hooked. Bye bye plastic, hello glass! The next question I get_ "Are they durable"! Absolutely! Gemma hasn't broken one yet and believe me they have taken a tumble or two! Super durable and totally safe for you no matter your age. I can't tell you how excited I am about this Hummingbird Glass Straws Giveaway! I reached out to Hummingbird Straws and they generously offered to give sets of their awesome straws to TEN Weelicious readers! I can't wait for you to try them and since there will be TEN winners your chances to win are pretty awesome! For a chance to win tell me in the comments below_ your favorite smoothie ingredient. It's that simple! Good luck! P.S. If you take pics of your smoothies don't forget to tag them #SmoothieProject so I can see your daily combos! Prize: Ten (10) lucky weelicious readers will receive a 4 pack of clear bent straws from Hummingbird Straws. This giveaway is sponsored by Hummingbird Straws. All thoughts and opinions are my own. Duration: This giveaway will be open until Thursday, March 9th at 11_59pm. How To Enter_ Leave a comment below. For more chances to win, share this giveaway on Pinterest, Twitter, Instagram, Facebook and Google+ tagging @weelicious with the hashtag #weeliciousgiveaways, and leave a separate comment for each letting me know you've done so. Who Can Enter_ Open to residents in the U.S. only. We LOVE our daily smoothies. It's hard to pick just one favorite ingredient! But I think my favorite is frozen raspberries. Yum. They add such a beautiful color to the smoothies as well as a slight tangy/sweet flavor. I'm dying to try these hummingbird glass straws! My favorite ingredient to put in our smoothies is grass feed collagen peptides for the adults and the beef gelatin for the kids. After including this to my kids diet. My son gets less joint pains! We love berries of all kinds in our smoothies! I love adding frozen cherries to my smoothies. They help offset the strong flavor of kale! My favorite now that I have a good blender is blueberries - they really get chopped up now. I have always admired your glass straws!! They have been on my wish list! I love adding frozen mixed berries to smoothies. 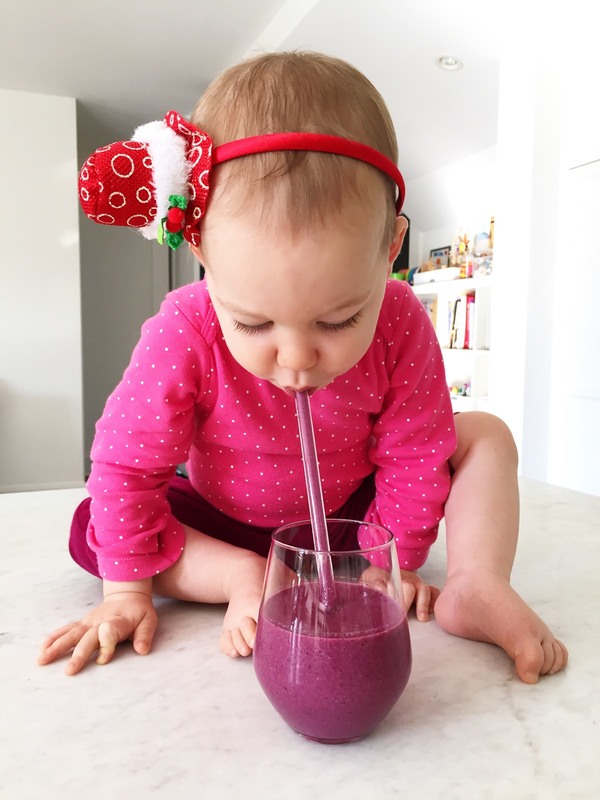 So delicious and make the smoothies so pretty and my girls will always try anything purple! Would love to try these and especially love that you can see if they are clean or not-unlike aluminum straws! Drinking from glass straws makes everything more fancy and actually taste better! Favorite smoothie ingredient - Spinach! Green grapes, spinach, peanut butter, almond milk, honey, banana - yum! My favorite smoothie ingredient has to be pineapple. It's so sweet and delicious! I've been eyeing those straws and it's great to know they are durable. My favorite smoothie ingredient is MCT oil. My favorite smoothie ingredient in pineapple! Hope I win!!! The only ingredients that always end up in my smoothies are spinach and bananas - everything else changes from day to day! I love nut butter and frozen bananas in smoothies! I am a fan of the glass water bottles and would love to try the straws rather than the aluminum! I always throw flaxseed meal in smoothies, regardless of what other ingredients are in it. Would love to try these straws! Our favorite ingredient to add to smoothies is mango and spinach! Yum! These straws look great! We are rocking smoothies this week post tonsillectomy. We are working to use less disposable things &amp; use less plastics. I did not know about the glass straws. Thanks for sharing! Blueberries are our favorite. These straws are amazing! Yay to no more waste!!!! We would love a set of these. Banana, spinach, kefir and coconut milk, my son drinks one every night with dinner! 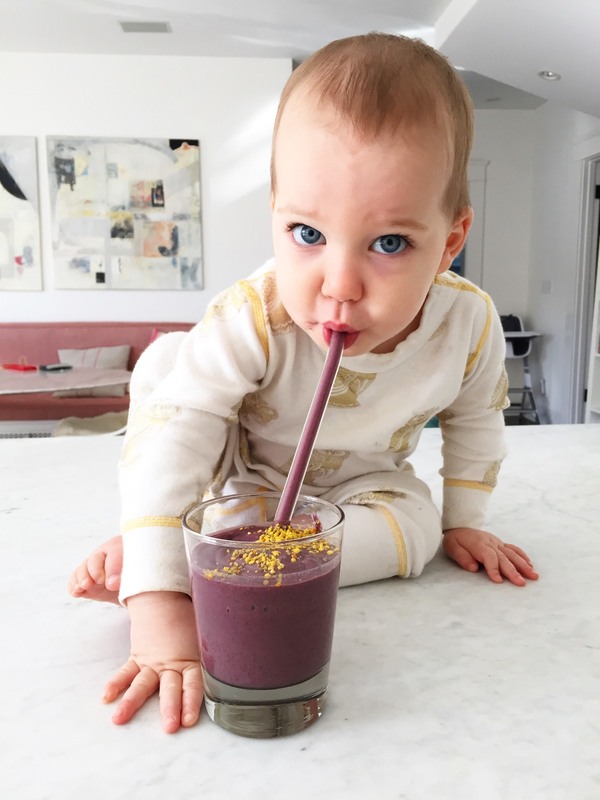 My kids will eat any smoothie with frozen mixed berries in it! My favorite ingredient in smoothies is strawberries. Beets! I roast, peel, cut, and freeze them for an easy addition to our smoothies. I love spinach and pineapple in my smoothies. Frozen berries of any kind! Bananas - they seem to go with whatever kind of smoothie we want! We also love spinach - my kids don't mind it and I know I am adding something good in it for them they might not normally get. We LOVE including mango in our smoothies when they're in season! Spinach is also a close second. Our favorite ingredients are frozen mixed berries !!!!! Thanks for the great giveaway! No smoothie is complete wo a banana!! We bought a kitchenaid blender! We love it! Thank you for the inspiration. 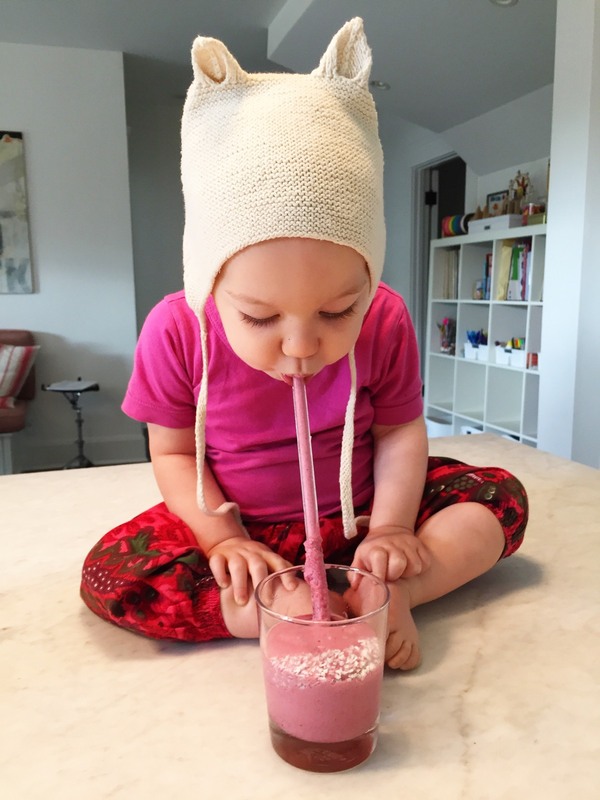 I'm looking forward to starting the smoothie project in my family:) would love to try out the hummingbird straws! Pineapple... So great in green smoothies! Chia seeds! They are great for regulating blood sugar and thicken the smoothie without changing the taste. Wow, those are so awesome. Definitely frozen pineapple. It's so sweet that I can put anything else in the smoothie (carrots, spinach, kale, etc.) and my kids will gobble it up!. Frozen mango, pineapple, greek yogurt and chia smoothies are a favorite at my house. 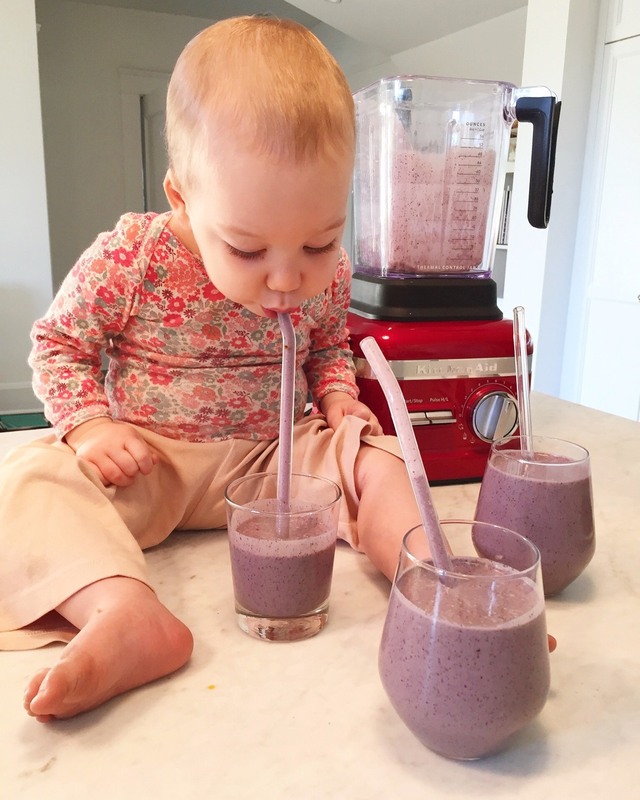 we love smoothies after nap! My boys would love these! But how do you clean them?? There are straw cleaners. They look like a really mini version of a bottle brush. In our house it's bananas for sure! Hands down, spinach is the family favorite ingredient! OK, and bananas, strawberries, mango and Greek yogurt! Raspberries, or any frozen fruit really! Almond milk, cocoa powder, banana and almond butter. Love these straws! I love to add a little kale or spinach for a quick dose of greens! My favorite smoothie ingredient is frozen organic strawberries! 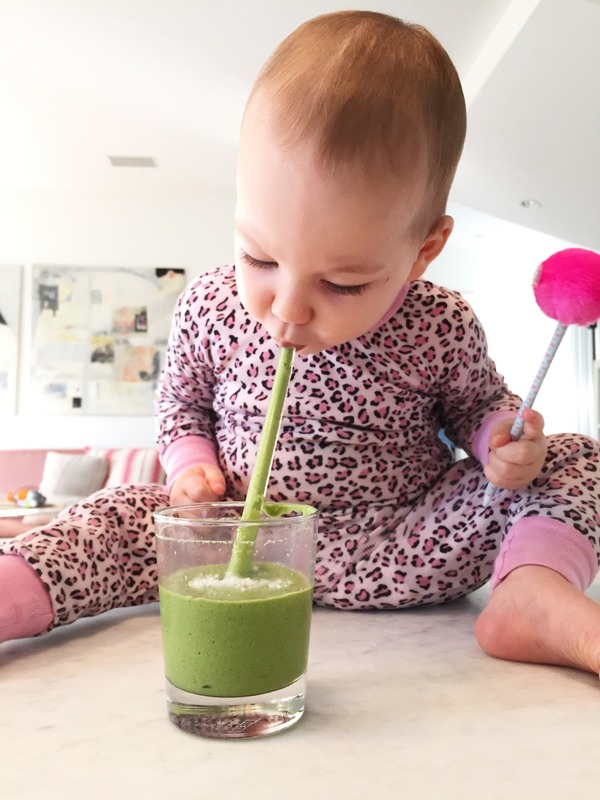 I love spinach in the kiddos smoothies. Somehow I do feel a bit sneaky since smoothies seem to be the only way to sneak those darker greens into their diet. I do so love putting peaches in my smoothie. Our favorite smoothie combo is: strawberry, banana, mango, coconut milk, honey! Strawberries are my favorite! And they are SO sweet this time of year! I love to add chia seeds or nut butter for a filling smoothie! Frozen cherries and spinach. 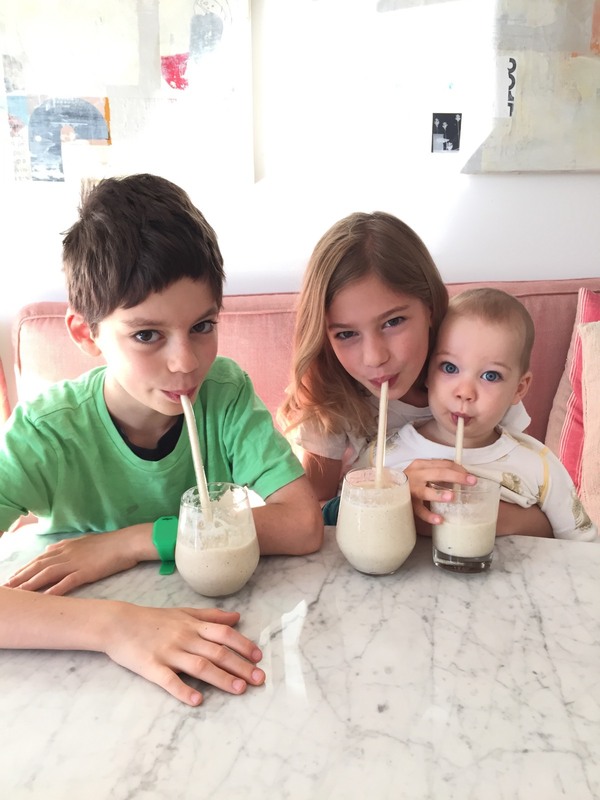 My boys love their smoothies! They also destroy plastic straws, would love to try glass. We love so much but a Granny Smith apple is really good in smoothies. I have never heard of glass straws until your blog post! What a cool idea. Thanks for the opportunity to winn. We toss overripe bananas that we didnt get to in time in the freezer. Love using these in smoothies! I LOVE Califia Farms Toasted Coconut Almond Milk. I like to use whatever frozen berries I have on hand and then add some acai powder. I have some green vegetable powder with cocoa added to it -- tastes amazing and ups the vitamin content. We love putting frozen mango in our smoothies! Bananas and spinach are always basic ingredients in most of our smoothies. Spinach! I love that it doesn't affect the flavor but I know my body is getting a healthy green first thing in the morning. I love using coconut milk as a base for anything - a bit sweet and makes smoothies super creamy! Thanks for the opportunity to win! We love strawberries, bananas, spinach and pineapple. But we make a lot of smoothies and love to try new ingredients all the time. Love, love, love your website....I have bookmarked many recipes. Thank you! I love adding basil to my fruity smoothies - especially berry, melon + cucumber. Yum!! 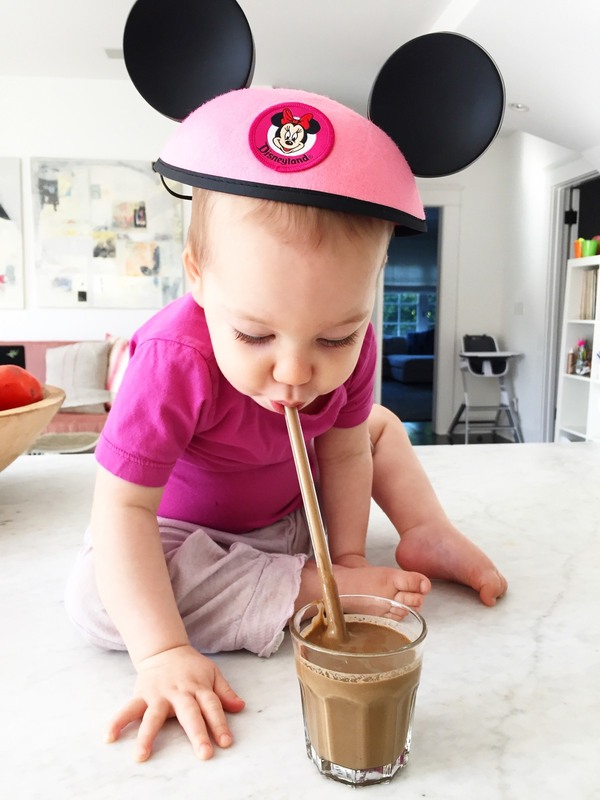 I have three kiddos who love straws! I had no idea there was a glass option! I love to put beets in our smoothies! I've been dying to try these since you first mentioned them.